The SunGod PaceBreakers are so sleek, you can’t help but feel faster with them on. SunGod, the London-based eyewear startup, crowdfunded their first sunglasses back in 2013 – customizable sunglasses which later became known as the SunGod Classics. In the following years, the brand rolled out two other sunglass styles and a pair of ski goggles, all with SunGod’s signature customizability. With the PaceBreakers, the brand’s latest offering, SunGod is catering to the athletic, cycling/running oriented market. They’re a pair that won’t look out of place in a velodrome. While I don’t bike (I feel like I’d probably get run over here in NYC), I am a mediocre runner, and have run a number of miles with the PaceBreakers. In the past, I’ve tested both the SunGod Classics (read my SunGod Classics review) and SunGod’s ski goggles, the Revolts. I was pleasantly surprised by the quality of the Classics, considering they were polarized, yet cost under $100. My Revolts review was largely positive as well. So, yes, I worship the sun god. As with my prior experiences with SunGod, I was not disappointed with the PaceBreakers. Usually I run with a pair of Oakley Twenty polarized sunglasses, and I think I might just prefer the SunGods, even though they’re $75 cheaper. 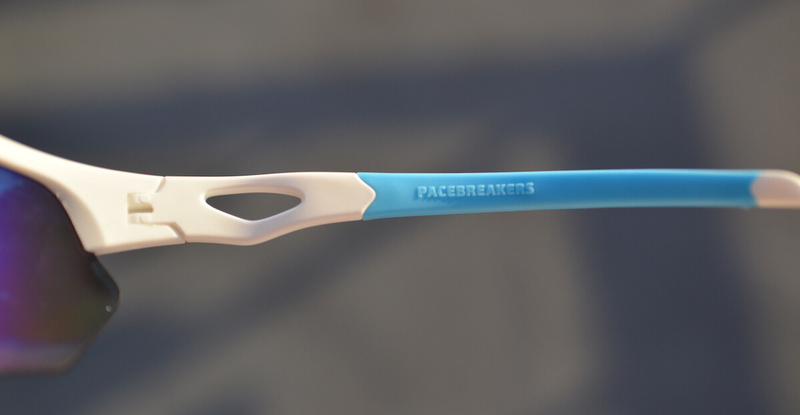 The PaceBreakers lightweight and don’t bounce or shake when running. They also never fog up. My polarized blue lenses have a brownish tint, and the polarization does a good job at cutting down glare. SunGod allows you to choose your lens type, frame color, SunGod logo color and ear sock color. This isn’t exactly a con, but these sunglasses have a very sporty aesthetic, meaning I only wear them when I’m running. The sporty, sleek aesthetic won’t be to everyone’s taste. I prefer more casual sunglasses, like the SunGod Classics for normal everyday use. I can’t help but I feel like wearing the PaceBreakers and not exercising would be like being a casual cyclist wearing an aerodynamic helmet. 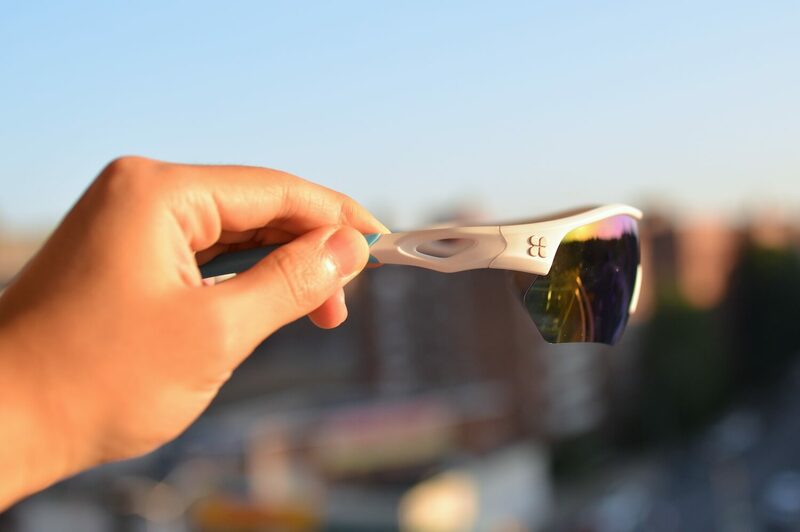 With SunGod’s PaceBreakers, protect yourself from the solar deity’s omnipotent rays while you cycle or run. 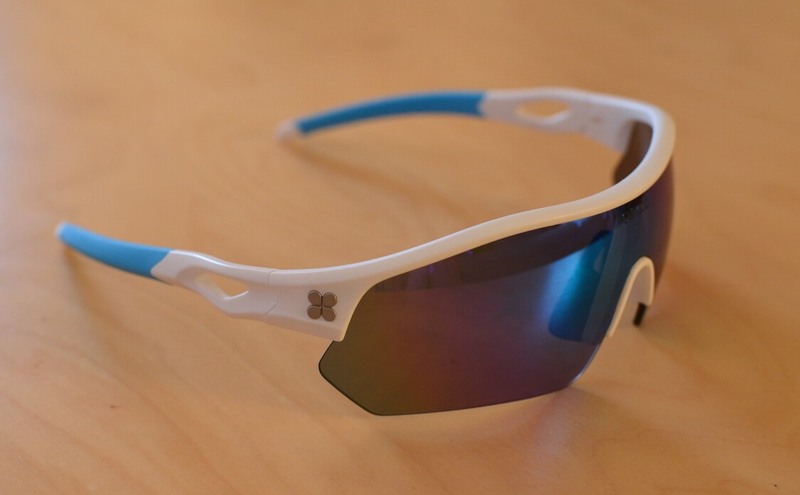 They’re a reasonably priced pair ($125 for polarized lenses and $90 for non-polarized), perfect for your athletic pursuits. The sunglasses come with an extra nose piece, microfiber cloth/pouch and SunGod stickers. 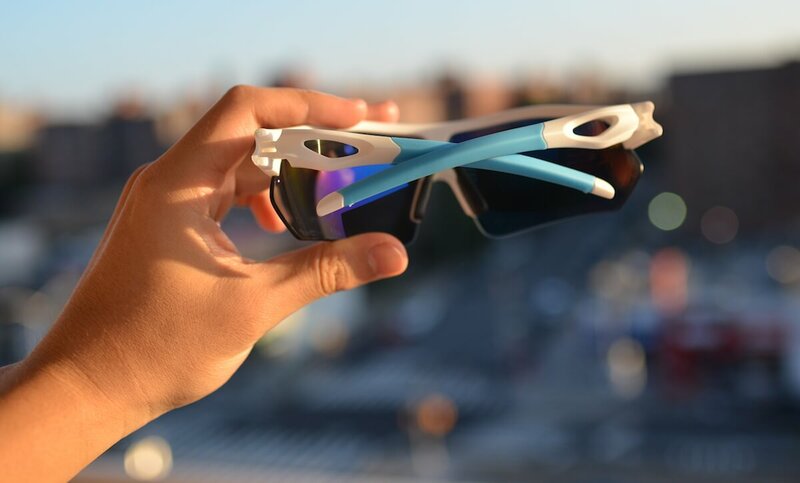 The SunGod PaceBreaker sunglasses were provided for this review. As always, this SunGod PaceBreaker review contains only my honest views and opinions. 🙂 Find out more about me and this site here.